With so many new gin festivals popping up every year, it’s great to see the original Scottish Gin Festival still going strong, and this year there’s a new dream team at the helm. Juniper Fest has been running each year at Summerhall, Edinburgh for six years, attracting thousands of gin fans along to sample, learn and have fun. 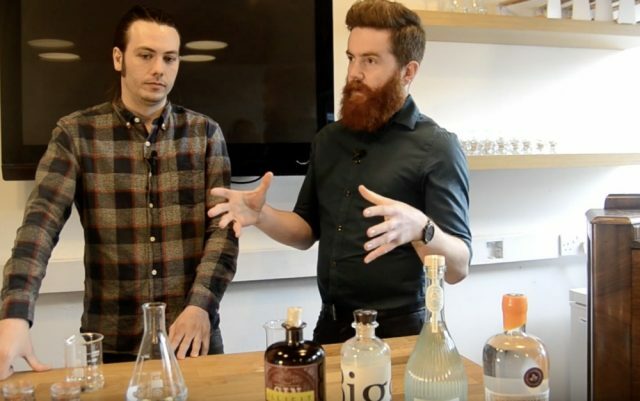 This year, the Summerhall Drinks Lab team, Jamie Shields and Greg Thornton have taken over the running of the festival and they’re planning to make it the best one yet. As always, you can expect a great selection of gins to try, a chance to meet and chat to the makers, educational talks and masterclasses, great food and new and unique serves and cocktails from some of the top bars from around Scotland. This year, the festival will also be greener, as the team aim to make it fully sustainable. For the second year, the Juniper team will be using only biodegradable Vegware cups for serving samples and cocktails, no single-use plastics are used in anything that they do, from tastings at the Drinks Lab to cruises to the festival. We chatted to Jamie and Greg to find out a bit more about them and their plans for Juniper Fest ’19 watch the video here. It’s safe to say that the Scottish Gin Society team have cleared our calendar for the weekend of 31st May – 2nd June for what is promising to be ‘The Best Gin Fest’.